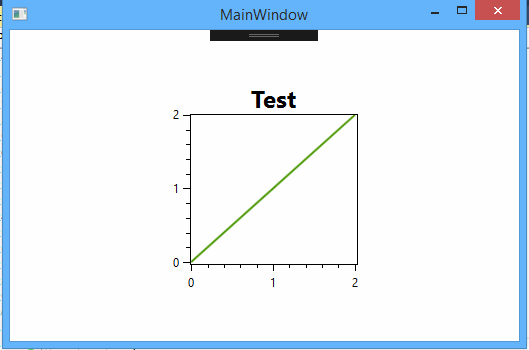 I'm trying to create a square graph (X axis width is the same as the Y axis height). I can't find any documentation on this and all of the properties I've seen which might be able to do this are inaccessible. This obviously doesn't work because this sets the entire area (not the graph specific portion). I solved this by hooking into the LayoutUpdated event on the PlotView and updating the PlotView.Width from the PlotArea width/height difference. If you want to do a resizable version, then use the containing window's SizeChanged event, and re-adjust the size of the Border container in that event handler. Not the answer you're looking for? Browse other questions tagged c# wpf oxyplot or ask your own question. How can I transform a LineSeries in a WPF OxyPlot Plot?